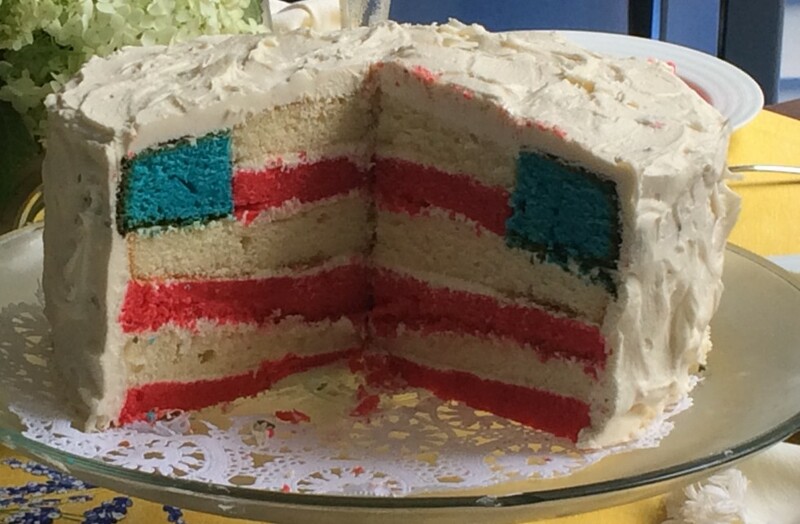 Heading into Memorial Day weekend, our Backstage Baker offers up this scrumptious recipe. In fact, it’s so easy, it’s almost hard to call it a recipe! But first, don’t forget to watch the Tony Awards on Sunday, June 11, 2017 — Indecent is nominated for Best Play, Best Director (Rebecca Taichman) and Best Lighting (Christopher Akerlind.) Just for fun, here’s a link to a post on The Skriker, a show that Chris lit at the Public many moons ago. Also, don’t forget that James’ previous show Jitney is also nominated for several Tony Awards this season! You have to wonder if he sprinkles magic dust on his shows, right? Maybe it’s just all the baking . . . But back to these cheesecake-stuffed strawberry bites! This is a super easy dessert to throw together. Great for parties and week end celebrations. And now strawberries are in season, it’s the perfect time to make them. Beat cream cheese, confectioners’ sugar, and vanilla extract together in a bowl until smooth; spoon into a piping bag or a resealabe bag with a corner snipped. Fill cavities of cored strawberries with the cream cheese mixture. Dip filled side of strawberries in the crushed graham crackers to coat. Drizzle with dark chocolate. Tom Nelis (left) enjoying the wine while discussing his role with understudy Ben Cherry (center) as understudy Eleanor Reissa looks on.